New Jacobs Camp director is "coming home"
When Anna Blumenfeld Herman becomes director of the Henry S. Jacobs Camp in Utica, there won’t be any need for someone to show her around. Herman knew Jacobs “would always be my home, my kids would go there, my friends’ kids would go there… I never imagined I’d be the director.” But when she looked back on her career path, it seemed to lead her to this point. The announcement of her hiring was made by the Jacobs Camp committee on May 19. Since the camp’s initial summer in 1970 under the leadership of Rabbi Sol Kaplan, there have been only two directors — Macy Hart, from Winona, Miss., and Jonathan Cohen, from Tupelo. Herman continues the trend of Jacobs directors coming from small Southern communities, and Cohen also grew up as a Jacobs camper. Herman was a camper, counselor and unit head, then became assistant director in 2000 after graduating from the University of Alabama. After three years she became a congregational youth director, then was assistant director of the Union for Reform Judaism’s meetings and conventions department. In 2010 she became assistant director of business operations for URJ Camps and Israel programs, which oversees the 14 Reform movement summer camps. Though she worked in New York, she remained committed to Jacobs Camp, serving as camp development committee chair. Also, she noted “it was never any great sacrifice visiting Jacobs” from the New York office. It was during one of those visits three years ago that she met Nadav Herman, an Israeli who had started working at Jacobs the summer after she left. That particular summer he was the adventure director. “When we got engaged we knew there was no other place than camp to get married,” she explained. At the time, Cohen noted a parallel to another Jacobs Camp assistant director who got married at the same spot. In 1983, Amy Dover of Shreveport married Howard Neistein there, and in honor of the wedding Hart had an asphalt walkway put in beforehand from the road to the chapel. Thirty years later, Cohen had the walkway redone for the Herman wedding. "Anna is uniquely qualified for this position," said URJ Director of Camp and Israel Programs Paul Reichenbach. "Having grown up as a camper at Jacobs and later returning to work there and for the Reform Movement, Anna understands the needs of campers, parents and congregations better than anyone." She plans to “build on our reputation as the place for Jewish youth in the South,” and expand the new Camper Incentive Program for Jewish Military Families on Active Duty. While she certainly knows the unique Southern atmosphere of Jacobs, her current position has given her the larger national picture as well. Working with management of all 14 camps she has developed a network of contacts and best practices. She also noted the “incredible lay leadership” at Jacobs. Herman “will spend this summer learning from J.C. and our Senior Assistant Director Gary Brandt, who are both outstanding resources, examples, and role models for Jacobs' future," said Jacobs Camp Committee Chair Danny Mansberg of Memphis. "This will ensure a smooth transition for Anna, who is sure to bring her own energy and ideas to the camp community. We look forward to welcoming her home with open arms." She will transition from her current position in June, starting at Jacobs on July 1. She is thrilled to spend a month and a half with Cohen, “my mentor and friend,” and with Brandt during this summer’s camp sessions. Cohen is retiring from the camp after 14 seasons. He and his wife, Rabbi Valerie Cohen, are moving to Worcester, Mass., where she will become rabbi of Temple Emanuel Sinai. Rabbi Rick Jacobs, URJ president, said “We are deeply grateful for J.C.'s vision and leadership and wish the Cohen family well on their journey. In the months ahead, we look forward to honoring and celebrating J.C. and his accomplishments as the director of Jacobs Camp." A save-the-date announcement was just made for an August 9 farewell event at the camp. Herman hopes many members of the camp family attend to give thanks to Cohen. 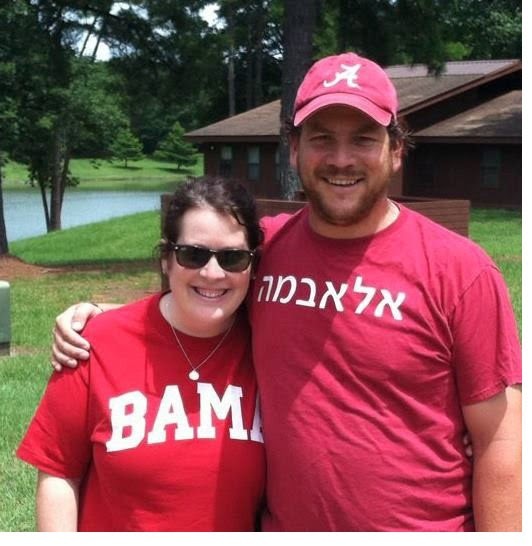 Southern Jewish Life: New Jacobs Camp director is "coming home"